Garden Grove Truck Accident Injury Lawyers and Wrongful Death Attorneys! If You Were Injured in a Truck Collision or any Other Kind Of Accident in Garden Grove, Orange County, California, Contact Our Accident Attorneys Now For A Free Case Consultation And Evaluation. 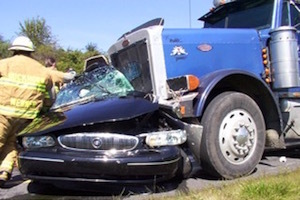 Truck accidents cause devastating injuries and damages. Our personal injury lawyers possess over 40 years of experience in handling claims pertaining to truck, car, motorcycle, biycle or any other kind of accident injury claims and wrongful death claims not just in Garden Grove, Orange County, but also in Los Angeles and all throughout California. For expert legal assistance in your truck or car accident injury or any other kind of personal injury claim, contact us now. Click here to reach us for an absolutely FREE AND CONFIDENTIAL CASE EVALUATIONS AND CASE CONSULTATION. 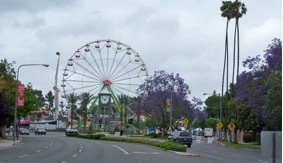 A northern city in northern Orange County, Garden Grove is approximately 34 miles south of Los Angeles. State Route 22, also called the Garden Grove Freeway, passes through Garden Grove in an east-west direction. 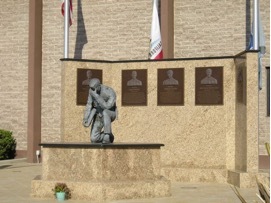 According to the 2010 United States Census, the total population of Garden Grove was approximately 170,883. 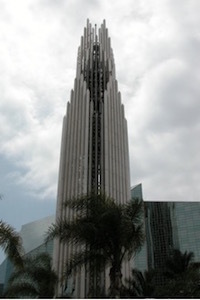 For vacationers and travelers, there are many places to visit in Garden Grove. 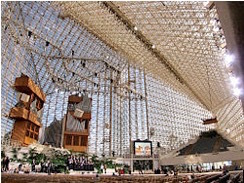 Among some of the most popular places to visit in Garden Grove are the Tower of Hope, Crystal Cathedral and the Visitor Center Museum. Truck accidents in Garden Grove and Orange County often lead to debilitating injuries and in some unfortunate cases even fatalities with wrongful death claims for the families of the decedents. The mammoth size and force of big rig commercial vehicles like trucks and 18 wheelers can be a major safety concern for those who share roads with them, particular in smaller vehicles like cars and motorcycles. Due to trucks’ great momentum, that is, weight times speed, large trucks often cause much greater damage and injury to passengers in the smaller vehicle that similar collisions that just involve cars. For these reasons, prompt investigation and medical care, coupled with expert attorney advice to comply with time deadlines and procedural rules of the DMV and insurance companies, are needed. You may contact us 24/7 for a FREE consultation and if we take the case there is NO fee until we win! Determining the cause of a truck accident is of utmost importance when pursuing a legal battle for compensation for your injuries and damages incurred in a truck collision. The cause of the accident will determine whether one is entitled to compensation and whether any reduction needs be made for comparative negligence or other liability factors. Insurance companies and big corporations have trained investigators, adjusters and defense attorneys on their side. That is huge advantage for them! You should even the playing field and seek an expert truck and auto lawyer to assist and advise you. For legal assistance for these intricate details of your personal injury case, contact one of our experienced truck accident personal injury and wrongful death accident lawyers now. We provide immediate help with medical care, specialists, property damage repair and settlement, rental cars, medications, prescriptions, financial advances as appropriate, etc. For our quick and easy consultation, fill-out our contact us form and tell us about your truck accident or any other personal injury case. We work on contingency fees – This means that there is NO FEE until WE WIN!